Sept. 3 (Bloomberg) — A 7.0-magnitude earthquake struck near the Indonesian island of Java yesterday, killing at least 44 people and destroying about 800 homes, disaster agencies and officials reported. The quake hit at 2:55 p.m. Jakarta time at a depth of 50 kilometers (31 miles) off the south coast of Indonesia’s most populous island, the U.S. Geological Survey said on its Web site. It’s the strongest since a 7.5-magnitude earthquake in India’s Andaman Islands on Aug. 10, according to USGS. The quake rocked buildings in the capital, Jakarta, and forced evacuations of businesses and hotels. 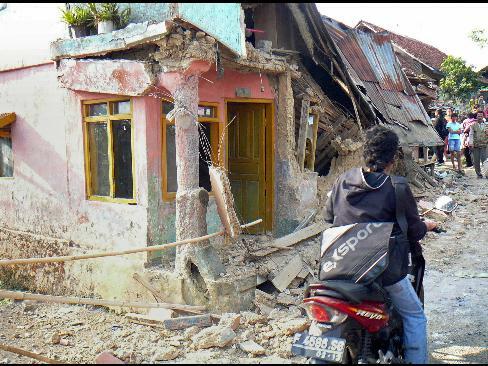 Indonesia has suffered from many earthquakes in the past several years and has lost thousands of people to them. But more are coming (Matthew 24:7; Luke 21:11). The Bible warns of a time when there will be such a massive earthquake, that the islands will be no more. Islands and Bible Prophecy What’s ahead for islands? What does the Bible prophesy about them? Is there a major earthquake prophesied? This entry was posted on Wednesday, September 2nd, 2009 at 2:24 pm	and is filed under Prophecy.